(NaturalNews) Futures investors are making an already difficult situation worse in Spain, where unrelenting drought conditions in the world's largest olive-producing country threaten to spike the price of olive oil globally. Reports indicate that this year's olive crop could be down by as much as 40 percent due to a lack of steady rains, which means higher prices at the grocery store for this popular "good" fat. According to reports, olive trees throughout Spain's Andalusia growing region suffered major losses back in May and June when very dry weather inhibited the normal flowering process. During this key ripening time, olive fruit requires just the right amount of moisture in order to mature, a sequence that did not occur as hoped this year. The result: Many olives never fully ripened, creating a deficit in oil production. 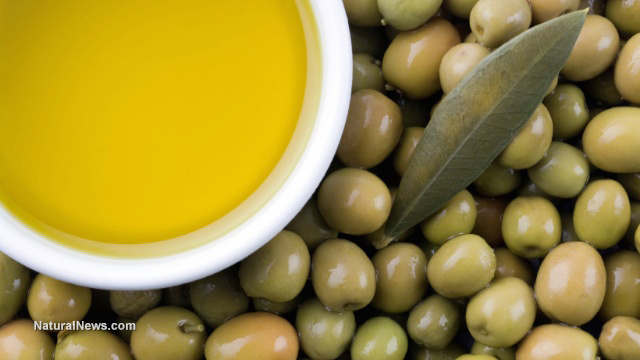 Based on data compiled by the oilseed forecasting agency Oil World, the spring rains that never came will likely reduce the Spanish olive crop by 40 percent, potentially driving up the price of olive oil for consumers. Similar price spikes occurred back in 2012 as well, when a heat wave destroyed up to 80 percent of the Spanish olive crop, driving up the price of olives by as much as 30 percent. "The drought in Spain and its impact on the olive market is potentially very significant," said Lamine Lahouasnia, head of packaged food at Euromonitor International, as quoted by The Wall Street Journal (WSJ). "If the drought does end up adversely affecting Spanish yields, it is very likely that we'll see rising consumer prices in 2014." Though not as severe as what occurred in 2012, the current drought is expected to make olive oil harder to come by in terms of actual availability. And because speculators are already anticipating major shortages and higher prices in the future, the cost of olive oil is already rising right now, with more spikes expected to occur later in the year. "The drought is attracting a lot of speculator interest, because the production factor indeed is unknown for the next few months," explained Yago Cruz, chief executive officer of Cruzoliva, a large supplier of Spanish bulk oil, to WSJ. As far as U.S. and UK consumers are concerned, experts says most supermarkets will be able to absorb the higher costs, at least for now. But by the beginning of 2015, shoppers can expect to see olive oil prices increase by between 3 and 5 percent -- and if drought conditions continue, compounding shortages could potentially lead to even higher prices throughout the next year. Adding to the problem is steadily growing demand from developing countries like India and China, which have helped contribute to the current global consumption level of 2.3 million tons of olive oil annually. Less oil and higher demand means an increased likelihood of olive oil fraud, something we reported on extensively back in 2012. As you may recall, authentication tests conducted by the University of California at Davis revealed that many major brands of so-called olive oil contained cheap fillers like rapeseed (canola) oil that are cheaper and less healthy. Tom Mueller also covered this extensively in his book Extra Virginity: The Sublime and Scandalous World of Olive Oil. Trouble is also brewing in Italy, another major producer of olives, where a bacteria strain known as Xylella fastidiosa threatens to increase olive oil costs by as much as 40 percent. One local olive grower from the Puglia region of Italy told The Guardian that the only way to stop its spread is to burn the infected trees.